You will have a safe trip. In a small group a guide always controls the situation much better and if necessary, reacts immediately. 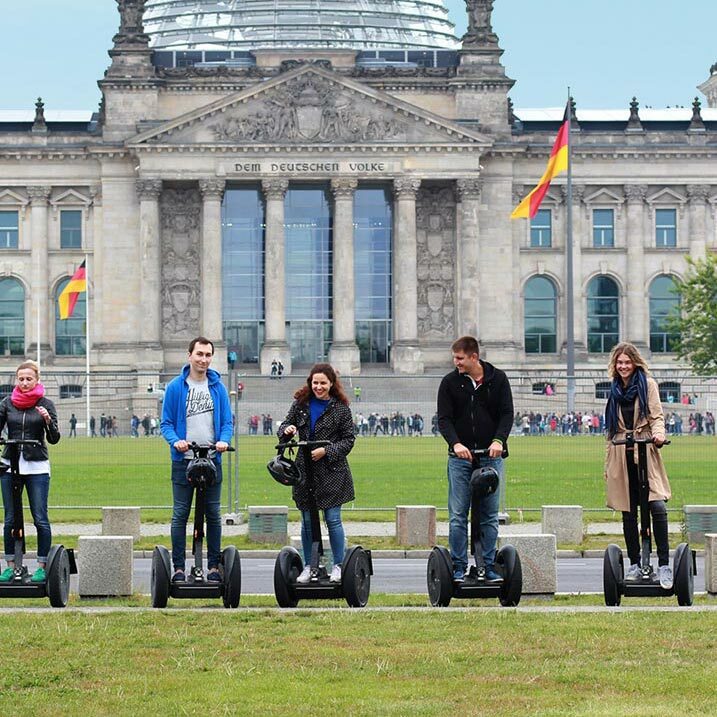 We have new Segways! All our Segways were made in 2015. It is much better to go in small groups, because you will practically never be separated, and you don’t need to wait others, who, for example haven’t crossed the street on a green light. It is simply to take photos! In a small group a guide could easily make lots of photos of you in all the beautiful places you will see. The stops we do on our way are optimized according to the available time. We wiil show you as much as possible in a certain period, will tell you historical facts and of course make your trip unforgettable. Privacy. Our tours are ideal for a family, couples or a group of friends. 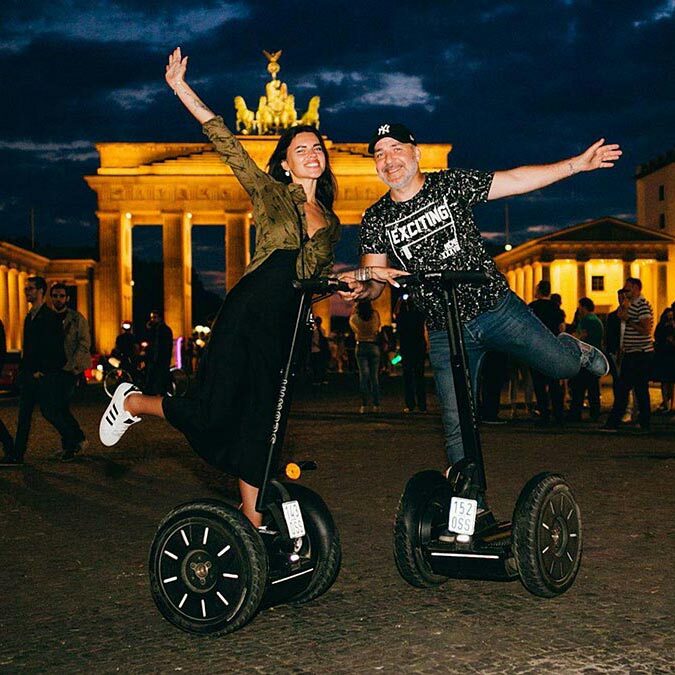 You will surely enjoy Berlin with our tours. You don’t need to lose your time in big groups, or go to some not interesting places. Everything will be made exactly for you. The history, entertainment, a good mood and pleasure are already included. Don’t waste your precious time! 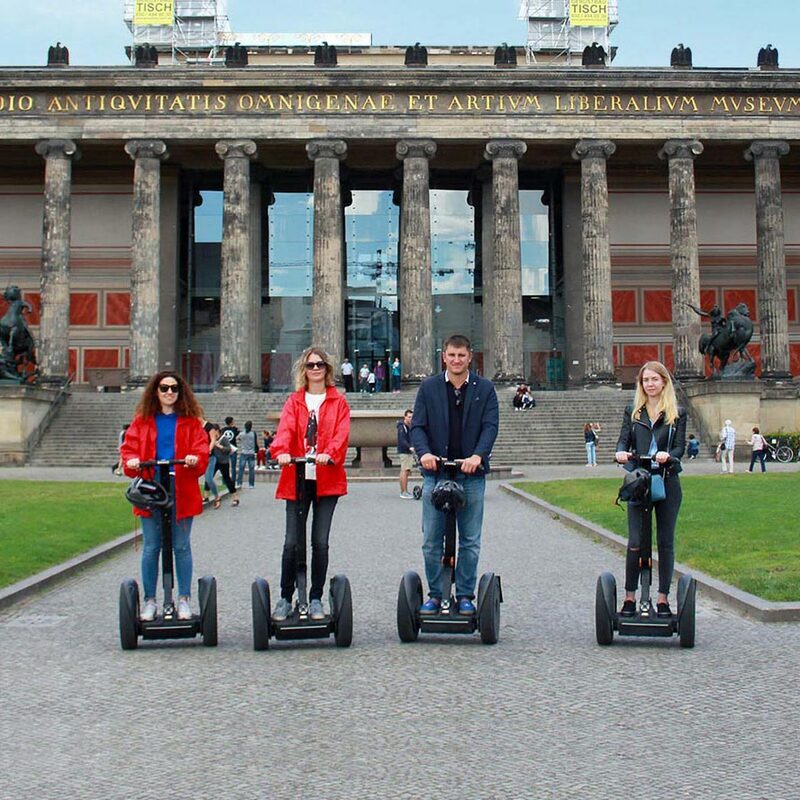 Book a trip in Robot City tours now and we’ll show you Berlin in all its beauty! P.S. Don’t worry about nasty weather! Robot City provides you with rain coats in case of rain and warm coats, mittens and hats if it is cold outside! The price of a tour includes the rent of the clothes. NB! For your riding safety, guest‘s weight is limited to be at least 40 kg (88 pounds) but not more than 120 kg (260 pounds). 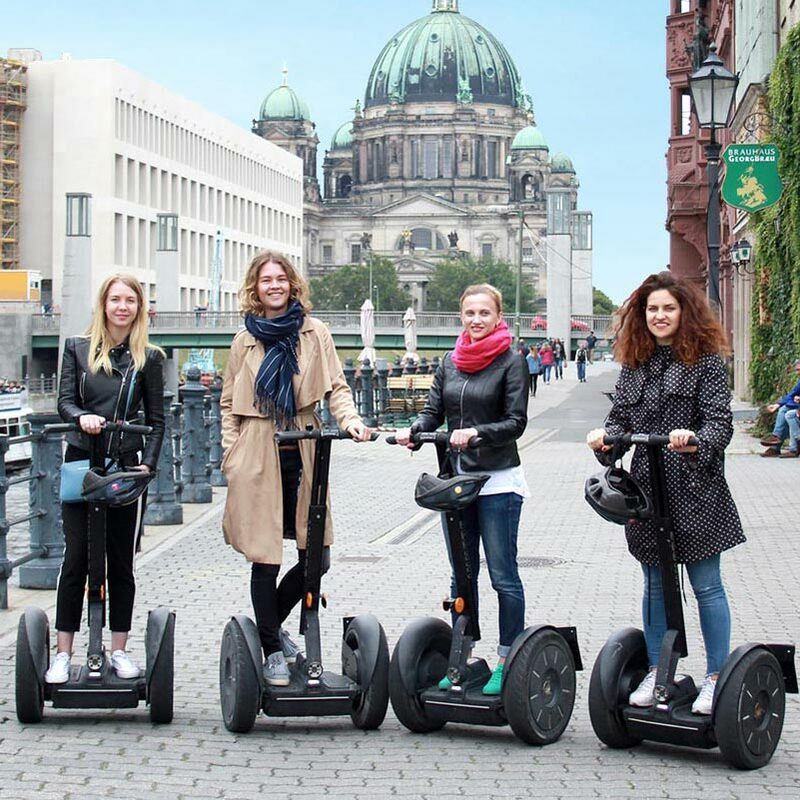 In order to avoid the risk to the health of both child and mother, pregnant women are not allowed to participate on the Segway Tours.